If you think I’m being hyperbolic, it’s seriously taken me more than a week to sit down and write this review. Until now, every time I tried to focus and write this review, my skin would start to crawl and I would start to grow anxious that something was in the corner, or someone was right behind me. I was legit afraid of the dark for days after seeing The Conjuring 2, and I rarely become so unhinged. I think the primary reason why I was so horrified by this film is because it’s based on the Enfield Poltergeist that haunted the Hodgsdon family. It’s not a fabrication. It’s not a campfire ghost story. It’s a genuine, documented case involving real people. It’s the same reason why I get so unsettled by documentaries like Making a Murderer – it reminds you that there are dark, unexplainable things in the world. You can choose to believe James Avery is innocent, but you don’t really know. You can choose to believe the Enfield haunting was an elaborate hoax, but you can’t know for sure. 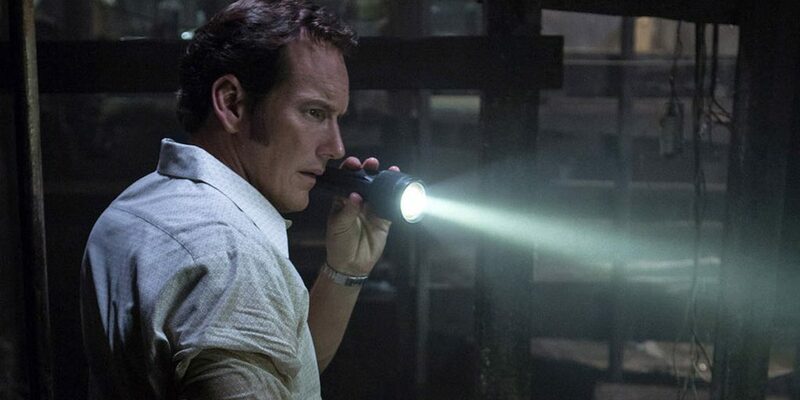 This is the balance director James Wan strikes so effortlessly – letting the audience hang between fact and fiction – and it pays off in so many delightfully horrific ways. Before I saw The Conjuring 2, I actually stayed up late the night before and watched the first film. 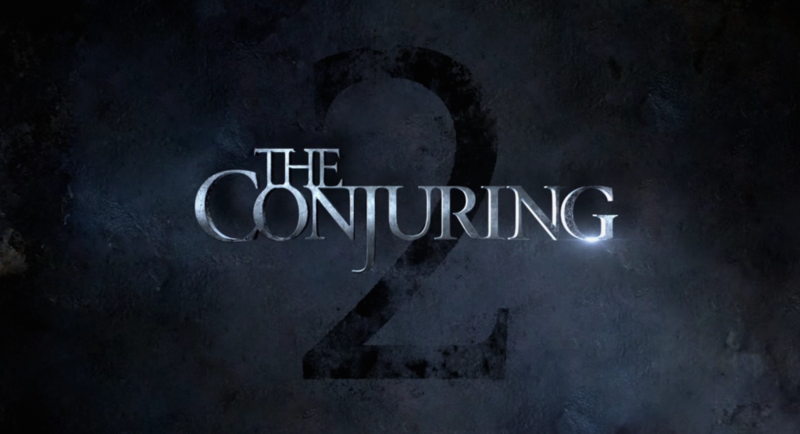 I had never seen The Conjuring, but I’d heard great things, and the trailer for the sequel instantly earned my ticket purchase. So I bought it on Amazon Prime Video (it was only $5!) and proceeded to get the crap scared out of me. It has a compelling story with a wonderfully slow burn, but what really sold me was the dynamic between Ed and Lorraine Warren, played by Patrick Wilson and Vera Farminga, respectively. My friend Nathan touches on this in his review as well, but Wilson and Farminga make this series as great as it is. You are immediately invested in these characters, these people. You want them to win, and you’re terrified they won’t – even though, logically, you know they both survive. That’s how good these films are. They make you doubt the reality of what you’re seeing. They invite you to suspend belief, if only for a moment, and accept what you’re seeing on screen as truth. And what a truth it is. 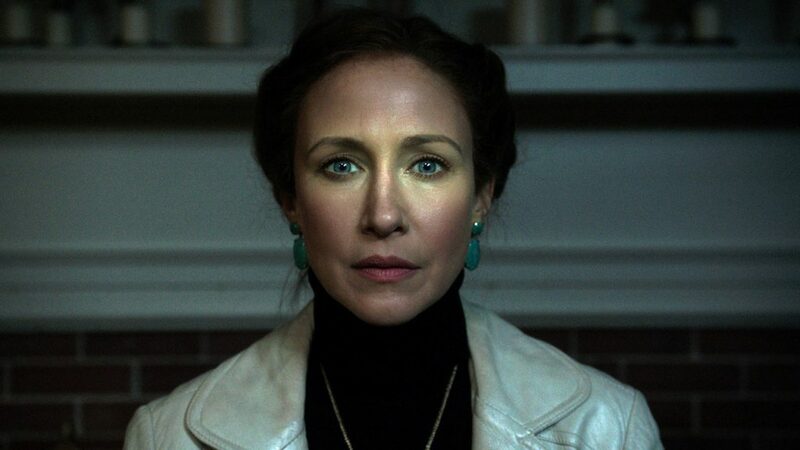 From the obtuse camera angles, to the deliciously grating musical score, and the new “big bad,” everything about The Conjuring 2 sets you on edge in ways the first film barely touched upon. It maintains a shockingly high level of tension that’s released only mere moments at a time. Every scare is more terrifying than the last, every dark corner infested with the unknown. This film is unrelenting in its mission to traumatize you, and I loved every damnable minute of it. In fact, this movie runs at such a brisk pace that it felt shorter than the first film, even though it’s about a half hour longer – though I’m not sure how much I could have taken. Of course, I would be remiss if I didn’t acknowledge the other talent besides Wilson and Farminga – specifically Frances O’Connor and Madison Wolfe. O’Connor plays the worried mother, Peggy Hodgson, who wants nothing more than to keep her family safe. And Wolfe plays the titular role of Janet Hodgson, the little girl who is the primary target of the Enfield Poltergeist. I don’t want to dig too far into the specifics, but both of these actresses deliver incredible performances – especially Wolfe. I’m not sure how James Wan is able to find and direct such remarkable young talent, but this movie would have failed had any other actress stepped into Janet’s shoes. 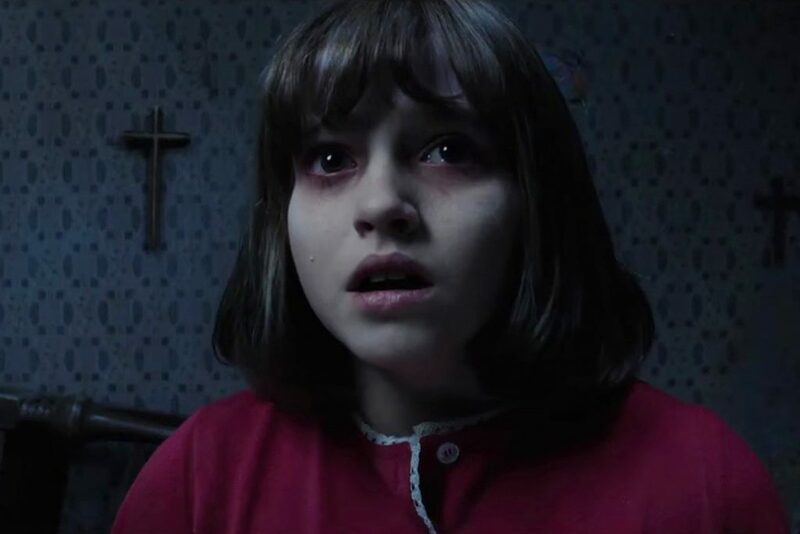 But for as much as The Conjuring 2 got right, there was one minor complaint I had with this movie – namely, I was a little bit let down with the climax of the film. I felt it didn’t pack quite the same punch as the first movie, even though this movie (overall) was a superior film. I know that’s a weird thing to say after raving about it for so many words, but after a film that didn’t hold any punches for over two hours, I wanted more of a final push before the end. I also enjoyed the setting of the first film more, but that’s more of an aesthetic preference than anything. What strikes as most true for me, though, is the way this movie doesn’t insist you believe in it. The characters openly question the events that are happening in the film, and you get to follow their journey as they wrestle with the opposing ideologies of faith and doubt. And, even more surprising, this movie has an incredibly uplifting message, conveyed via Ed and Lorraine marriage. They found each other, believed in each other, and they created a community around their common understanding. It’s one of the deeper thoughts this movie plays with, and I rather appreciated it between jumping and screaming in the theater (and yes, I did scream). 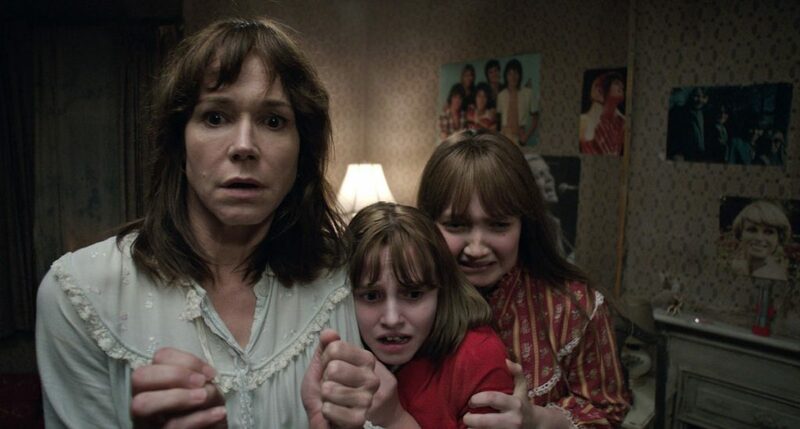 The Conjuring 2 is not for the faint of heart. It will terrify you like few films can. It will make you afraid of the dark. It will make you afraid to be alone for too long. But it’s a film I wish I could forget and watch again, because I’ve never been so enthralled, or moved, by a horror film. It’s not cliché or campy. It’s dark and meaningful and will make you think as much as it’ll make you scream. If you’re at all into this sort of film, you need to stop reading this and go see it already! Previous Previous post: Finding Dory Review | Just Another Fish in the Sea?